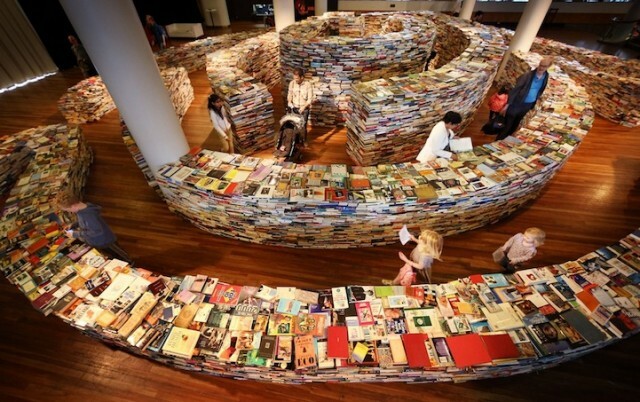 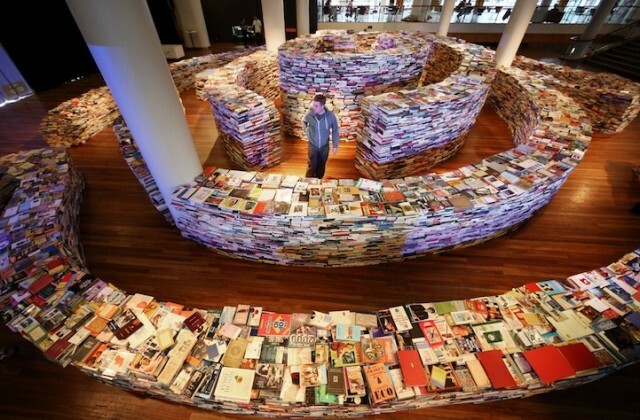 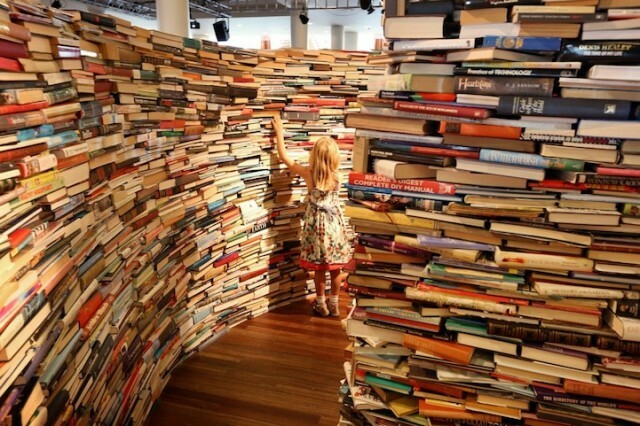 Discovery of this project with this amazing maze made ​​entirely of books. 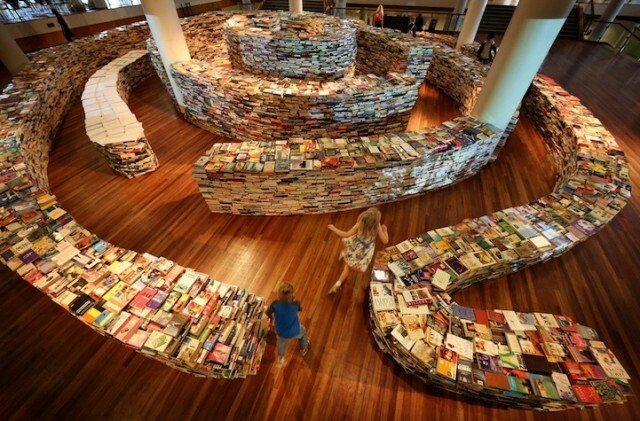 Planned for the alleys of Londons Southbank Centre this sculpture than 250 000 literary works shaped maze was made ​​by the Brazilian artist Marcos Saboya and Gualter Pupo. 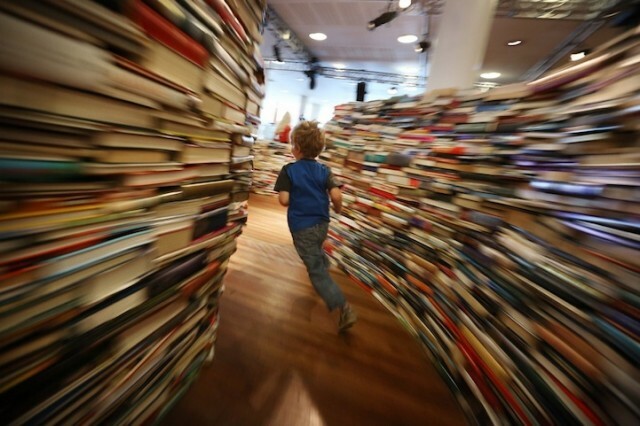 More details in video after the jump.